Partes Mac PowerBook G4 Aluminum 12"
You can upgrade your Aluminum 12" yourself! One RAM slot allows for a larger PC2700 RAM chip to increase memory, and any 9.5mm hard drive is compatible to expand your storage. Do you want to burn DVDs? Drop in a Superdrive! Does your Aluminum 12" not charge batteries or boot? Check your DC-in board! If your broken Aluminum 12" is a quandary for you, check out our Aluminum 12" troubleshooting guide to figure out what is wrong. 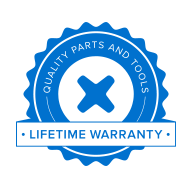 We carry the components to fix your notebook in our parts store.